The Deck Bag and Dry Pouch are two products that before their arrival you begin to wonder how paddlers lived without them. The origins of these two family members stem from the frustrations of dry bags that didn’t’ do the job. They never lasted, they ripped easily and had very limited functionality. 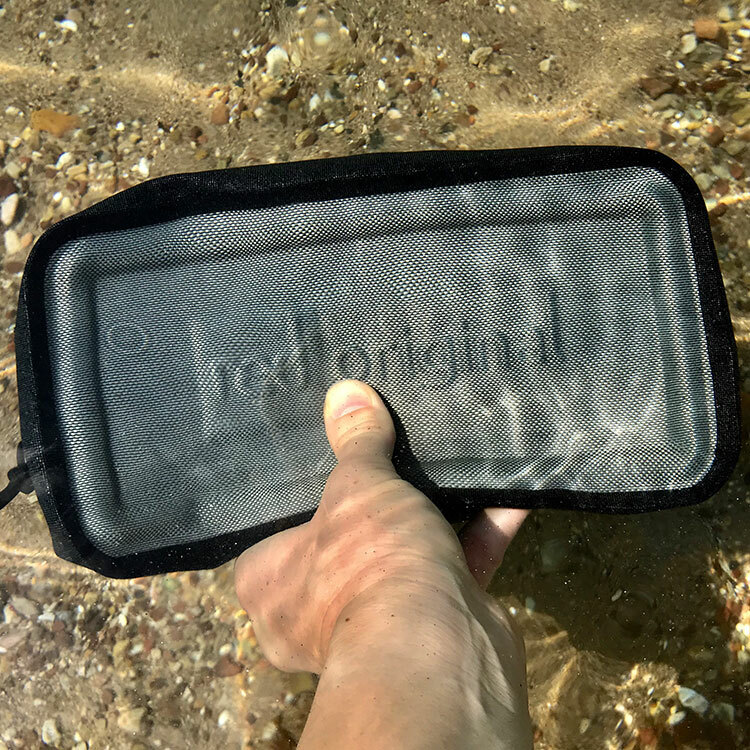 In this feature we’re delving a little deeper into the creation of quite possibly one of Red Original’s most pioneering products the 100% Waterproof Dry Pouch and the 100% Waterproof Deck bag. The little brother, small, portable and 100% watertight the Dry Pouch is born. When out on the water we were amazed that there were no quality durable storage solutions for small items. Most of us were still making do with rummaging around in big dry bags. We felt the days of hiding car keys on the wheel arch whilst out for a surf are long gone. Not to mention when out on the water paddlers love to have easy access to their phones for those epic photos as well as another way to stay safe on the water. The Dry Pouch needed to be both tough and easy to access. The involvement of the YKK Aqua Seal zip was the best seal to keep water and dirt out of the pouch. It is now a Red Original staple featuring on both Deck Bag and Watertight Cool Bag. The simple, easy accessibility allows users to have access to their valuables quickly and easily. Combined with welded seams means the dry pouch is 100% waterproof, giving you peace of mind when you take your valuables on the water. When researching key and phone storage solutions, the market provided two options: the lightweight neck pouches which frustratingly had to be replaced every few months due to them simply not lasting; and the other option were these bulky hard shell small boxes. Whilst both do a job they were not very portable or allowed users to carry them around off the water without looking like they were carrying around a first aid kit. We needed a fabric that was pliable yet tough enough against drops, knocks and abrasions. 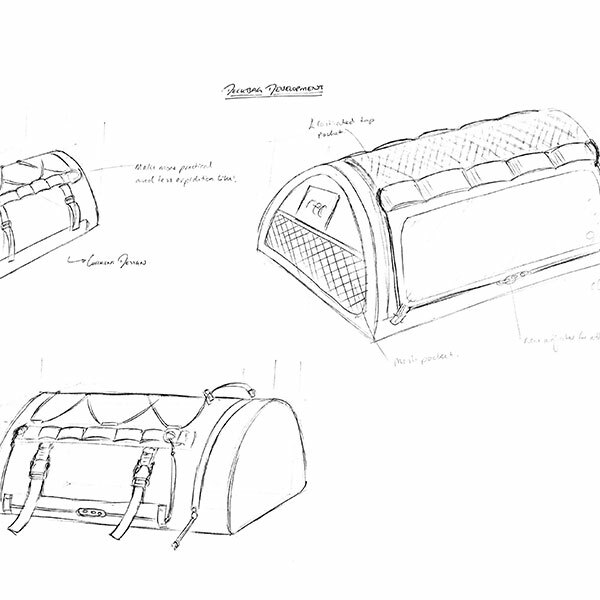 The Armour Tech fabric which is the foundation of the Dry Pouch, Deck Bag and Watertight Cool Bag provided the suitable versatility that we required from a fabric, combining both functionality and aesthetics, something that our competitors products were lacking. The bigger brother to the Dry Pouch the Deck Bags arrival came after simple lack in quality paddle boarding products for keeping your gear dry. There wasn’t a product specificly to meet the needs of the paddle boarder. Up until the arrival of the Deck Bag we were just making do. We wanted something that had multiple functionality easy access and easy to attach to any board. One of the key features with the Deck Bag was its ability to be easily accessed whilst on the board without compromising the watertight seal. This is where traditional dry bags lost their user friendly function. 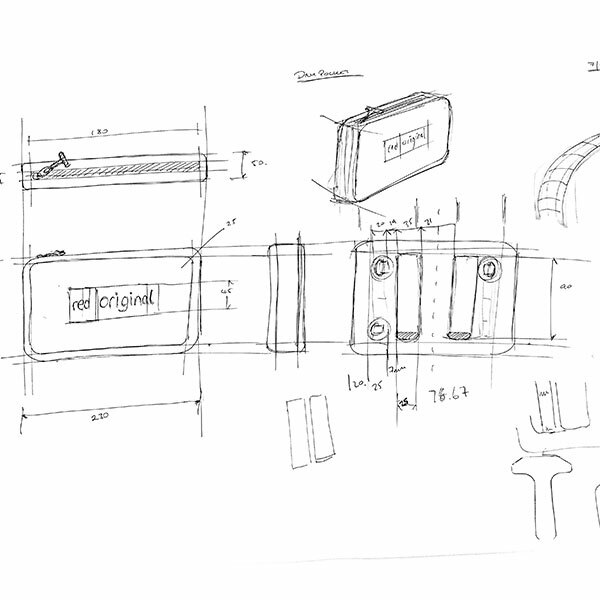 We wanted a bag that could be 100% trusted for whatever the user chose to store. Anything from cameras, drones or a prized sleeping bag which everyone knows simply must stay dry when on an overnight trip. The Deck Bag needed to tick a lot of boxes for it to truly succeed. Our patent pending LTS system, like our Aqua Seal Zip, has become a key feature for attaching the Deck Bag to the board. 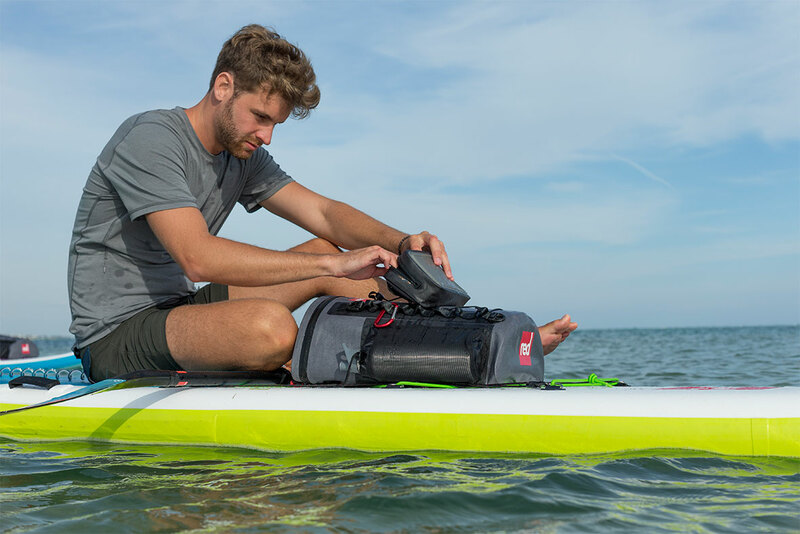 The quick and easy tensioning system allows you to carry the board with a fully loaded Deck Bag leaving your hands free as you hit the water. It’s not just what goes on on the inside of the bag that was important. The outer of the deck bag needed just as much consideration in the design. One of the main concerns with any water proof bag is storing the smaller items. To combat this we added a mesh zipped pocket to the lid which is ideal for grab and go items such as sun cream. 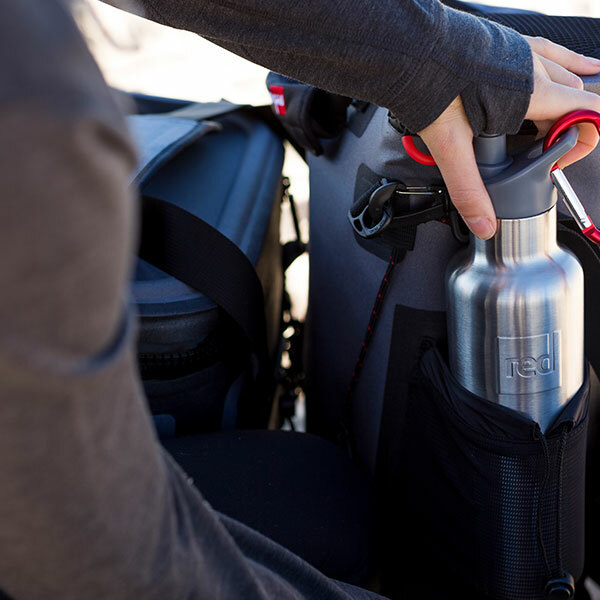 We also added side pockets for Drinks bottles, wave webbing for attaching items and an elastic attachment for other quick grab and go items like a board lock or paddle cap. For those who want extra flexibility when out on the water we designed the Dry Pouch to easily attach on to the Deck Bag. 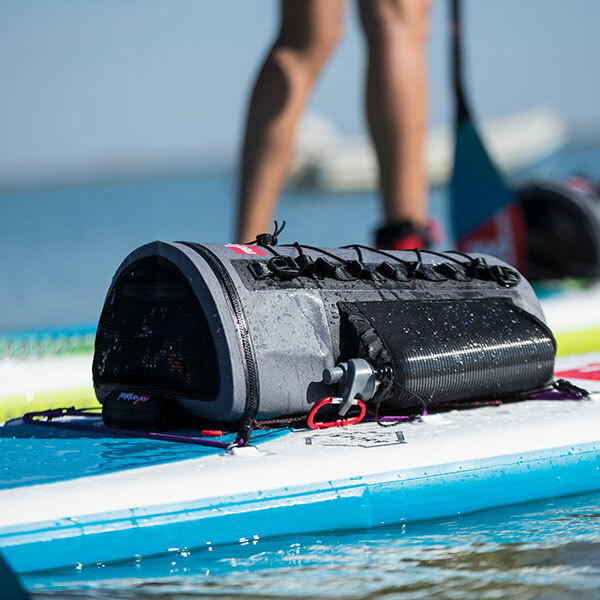 This modular system provides a complete customised set up for the paddle boarder. The small size is perfect for using as a small waterproof purse. Meaning paddlers could quickly detach the Dry Pouch and use it to store loose change for ice cream and coffee stops. The other key ingredient for the Deck bag was for it to hold it’s shape whilst in use and pack up small if paddlers wanted to travel light. The half dome insert holds the shape of the bag whilst on the board, protecting valuable items such as cameras and camping equipment. 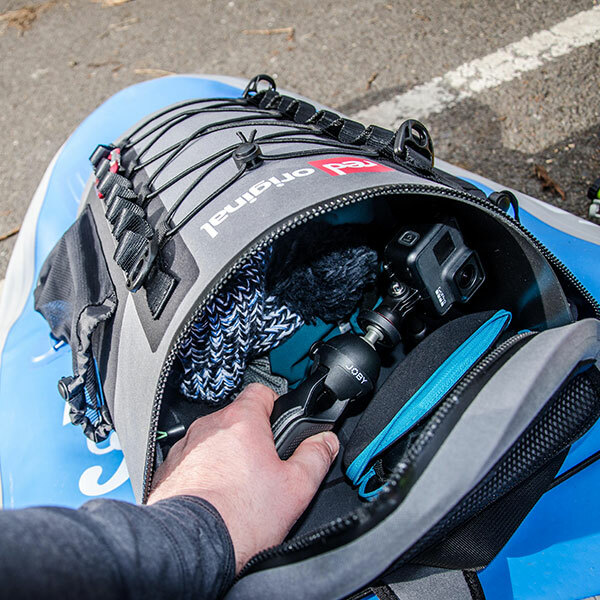 Once the half dome insert has been removed the bag can pack down small, ideal if you’re taking your paddle board abroad and when space is at a premium. The ample size of 22litres was the perfect middle ground between big enough to store bulky items like a jacket or sleeping bag. Whilst suitable for attaching the included carry strap to throw over your shoulder and use as hand luggage or an additional day to day bag. 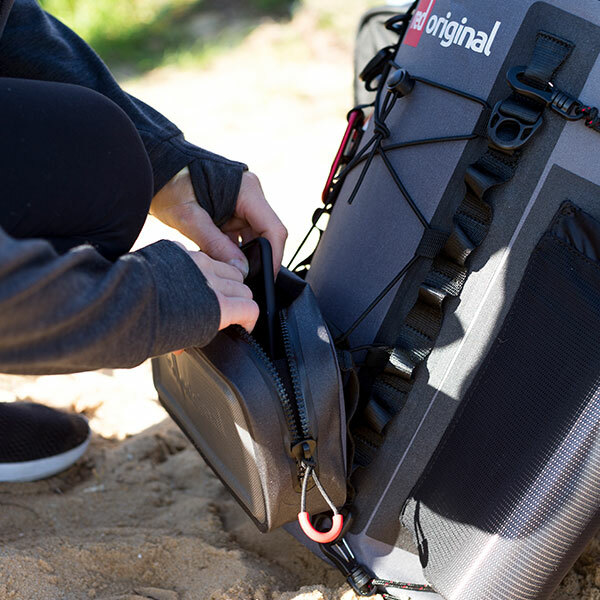 Whilst the primary function for the Deck Bag will always be Paddle Boarding, we wanted users to be able to use the bag beyond the paddle board if they chose and is also finding a home on Kayaks, boats and ribs. 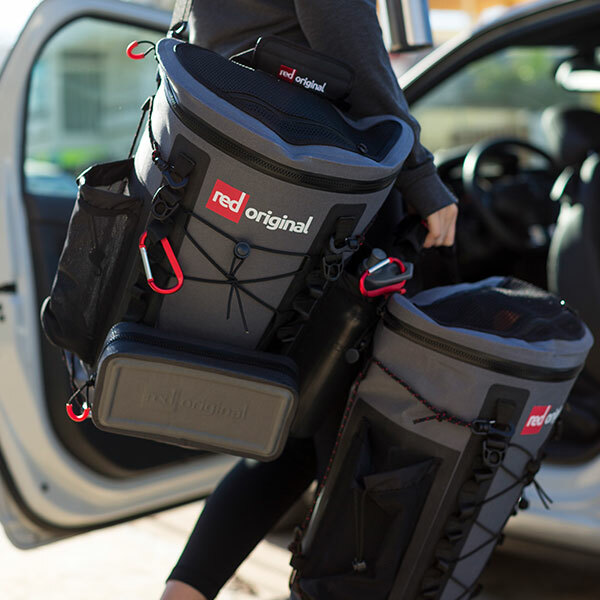 Both the Dry Pouch and Deck Bag are some of Red Original's pioneering products. 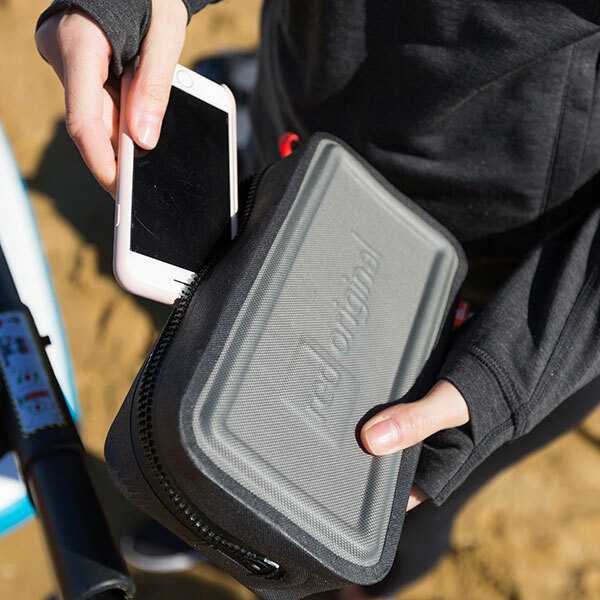 The modular function of these two siblings combined with easy access on the board, make for a great team to look after your items whilst on the water. So if you're looking for a 100% Waterproof storage solution you may want to take a look!